To make the mix, additional ingredients are required: an egg, unsalted butter, and milk. To see my tips for dairy-free substitutions, click here. 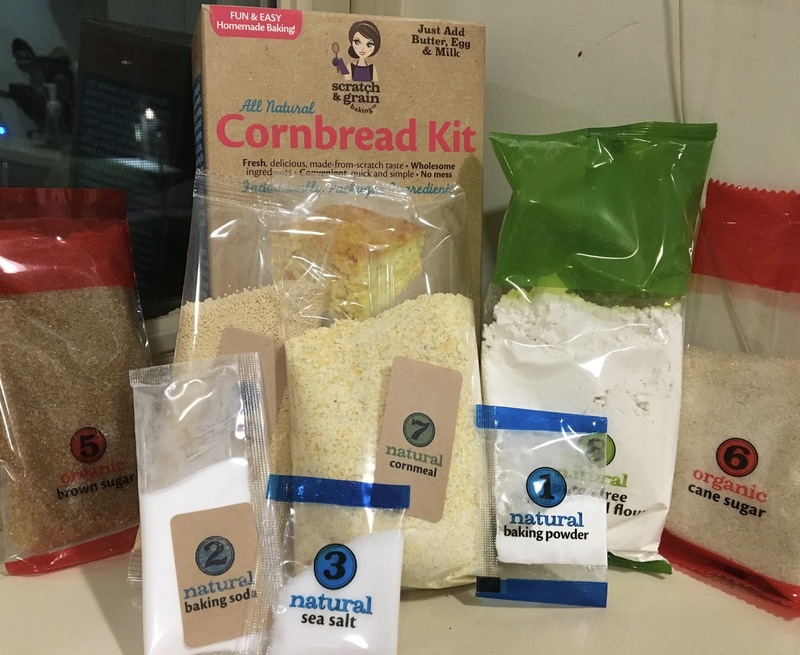 Preparing the cornbread requires more steps than your average mix, but the end result delivers a homemade quality that is just not found in all boxed mixes. Get your kids, friends, roommates, or other baking partners involved to make the whisking, mixing, and blending process more fun for everyone. For testing purposes, I prepared the cornbread with Califia unsweetened almond milk, an egg, and canola oil. 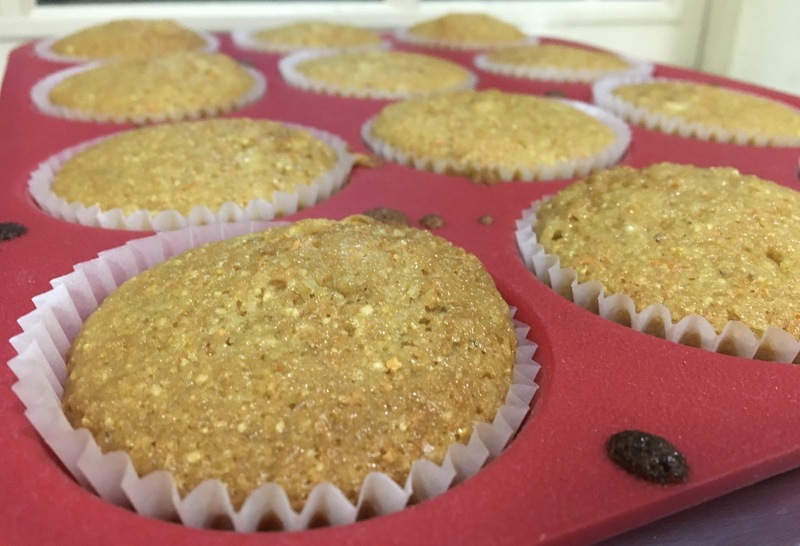 I added all of the ingredients as portioned, to see how the muffins would fare without any alteration. The mix rendered a dozen standard-sized muffins perfectly. Because my dorm oven is a bit unreliable, cook times are always longer than the package instructions for me. I kept my eye on the muffins and pulled them out when they were golden brown and a toothpick emerged clean. Once cooled, I took a bite and melted into the sweet corny flavor of the muffins. I loved the moistness and spot-on texture of the muffins. The honey granules, brown sugar and cane sugar definitely add a sweetness that is perfect for the cornbread: not too sweet, not too savory. 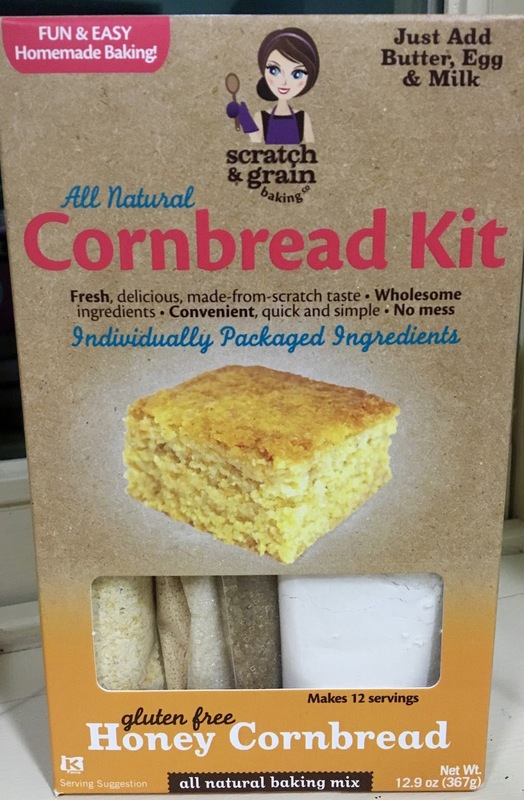 Although the newest Scratch and Grain mix to the line up, this cornbread mix is hands down my favorite. The muffins were definitely they best I have tasted- both homemade and from a restaurant. Pair these irresistible beauties with soups, barbecue, or even pop one for breakfast. A warning though, one is never enough. I kept the uneaten muffins in an airtight container for a few days post-baking. They kept their taste, texture, and moistness wonderfully, and you really couldn't tell that they were not fresh-baked. I have found Scratch and Grain products in the Maryland area at Wegmans. In Florida, I found them at DeLand Bakery. For more information about Scratch and Grain, including a product finder, online ordering, and full ingredient lists, click here.